The 80s pop icon has never been as successful as she is in 2018: with her latest studio album she put the map on her remarkable career once again, she receives high praise from the media, successfully toured the UK and played several festival gigs in the summer. ‘Here Come The Aliens (Deluxe Edition)’ provides everything that made the album the success that it was and furthermore includes a completely new additional bonus CD. 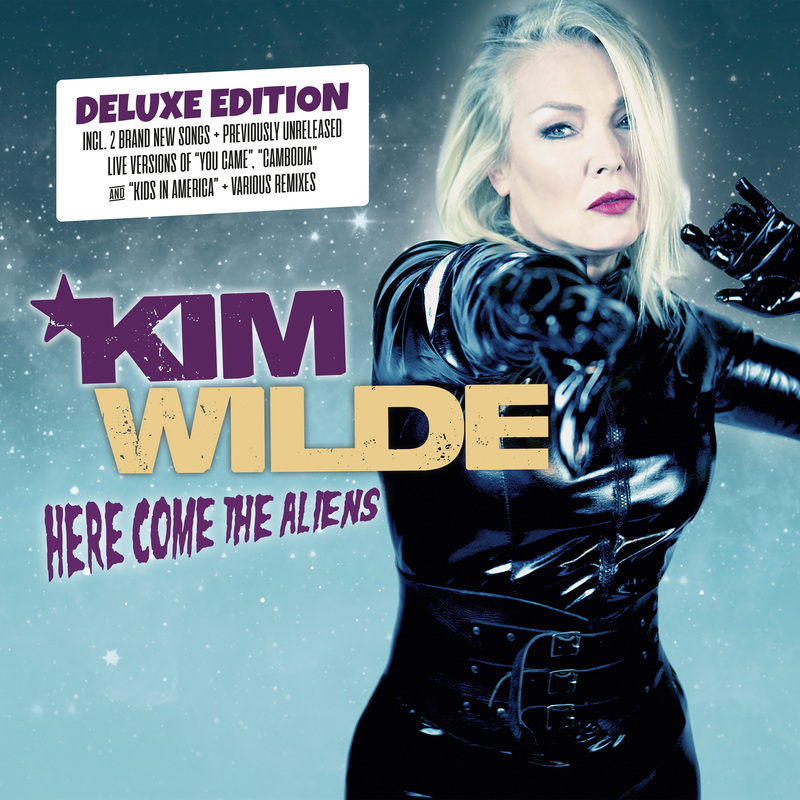 This CD offers 2 brand new songs, 3 mega-hits exclusively recorded during the ‘Here Come The Aliens’ UK tour: ‘You Came’, ‘Cambodia’, ‘Kids In America’ and various remixes from the latest hit-album – produced by her brother and guitarist Ricky Wilde. The album is an absolute highlight for every power-rock fan!